mother. But it was in Harlem, New York City, that he learned the basics of piano, mainly from his sometime organ teacher, the great Fats Waller (1904–1943). 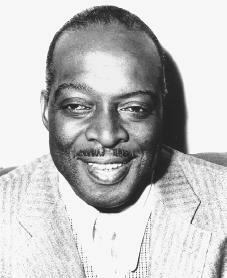 I saw Count Basie himself perform in Melbourne Australia not long before he died, perhaps by a couple of years, can you please help me with a date of this tour, thanks. One Great Band.Count Basie will always be remembered..Too bad he passed away..